The 35th Anniversary of the Ghostbusters is upon us! Let's celebrate with four spooktacular weekly comics featuring different Ghostbuster teams in all-new standalone adventures! 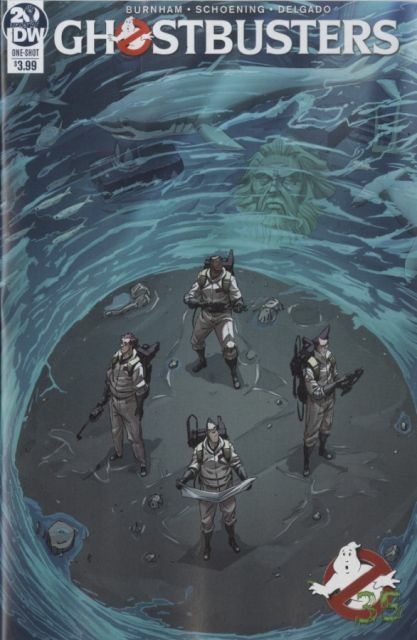 First out of the Firehouse are the original 'busting team of Peter, Winston, Egon and Ray, who have seen a lot of things during their time as paranormal investigators, but the latest case might just turn history on its head! Could it be that they've found proof of... Atlantis? It's a case full of saltwater and slime with the ORIGINAL GHOSTBUSTERS!